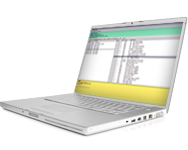 Inchware develops medical software for a variety of clinical systems. Our software provides health professionals with complete access to patient records wherever they may be and enhances efficiencies within the GP Surgery. 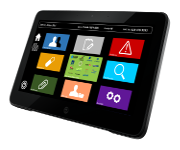 Inchware's applications are low-cost, easy-to-use solutions for CSUs, CCGs, Practices and individual users. With complete and unrestricted access to the leading Health Information Systems such as EMIS, INPS and SystmOne, health professionals can provide the best patient care in the Practice or while on the move in the community. This freedom leads to extensive savings driven by efficiencies in time management, travel costs and a reduction in CO2 emissions. "Patient Anywhere is now an invaluable tool, and I have found it to be a significant asset in the working day"